Watermelon harvesting is in full-swing in Central Australia, with fruit being sent around the country for the start of summer. While some will choose to eat them whole, or serve them up as dessert, others will get a little creative. 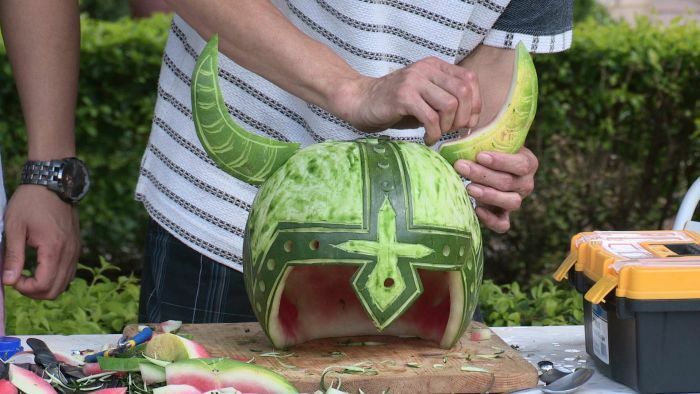 A melon carver in Alice Springs uses melons to carve helmets, perfect to cool off with over the warmer months.